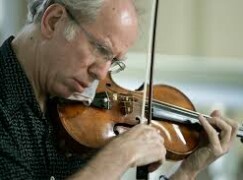 “How wonderful it would have been to have held this action in Donetsk a year ago, before they’d fanned [the flames of] war.” (Giya Kancheli and Gidon Kremer together). “Today, one can only conclude that it is a totally conscious and political action (posture). In any case – this is not a gesture of reconciliation that could help resolve the conflict in the region or contribute to preserving the legal integrity of Ukraine.” (Gidon Kremer). This entry was posted in "Voices" in English, Analytics, English, English News, Others, War in Donbas and tagged #RussiaInvadedUkraine, #UkraineUnderAttack, Anna Netrebko, Gidon Kremer, Russian propaganda, Russians funding terrorists in Ukraine, Ukraine, war in Donbas. Bookmark the permalink. A critique is invalid unless s/he who is critiqued is given the opportunity of reply. Last I looked, there wasn’t any password to get onto this Facebook page. If Nepotrebko wants to, she is as free to access here and reply as anyone else on this planet. You can be sure she’s seen Kremer’s words and has all the opportunity in the world to reply if she wanted to…there’s no media outlet that would not pick it up and she herself has numerous blog and social media sites in different languages and countries.